I really love fougasse - although up to now I only knew the original version, mostly with olives. The original is a very common bread in France, baked in a stone baking oven, coming originally from southern France. I ate about 3 tons when I lived in Paris for some months. Ok, slight exaggeration. Slight. I made only quarter a recipe and as I hace now idea what pattern the recipe speaks about I should shape, I just made rounds and cut triangles. For half the dough I used raspberries and for the other half I used plums as the berry season is already almost over in Austria and plums are everywhere. I made a bit more of the Streusel just because I like it but the amount in the recipe would be just as well. In the end, you need some preparation as the dough has tweo (short) rising periods but needs at least 24 hours of chilling. 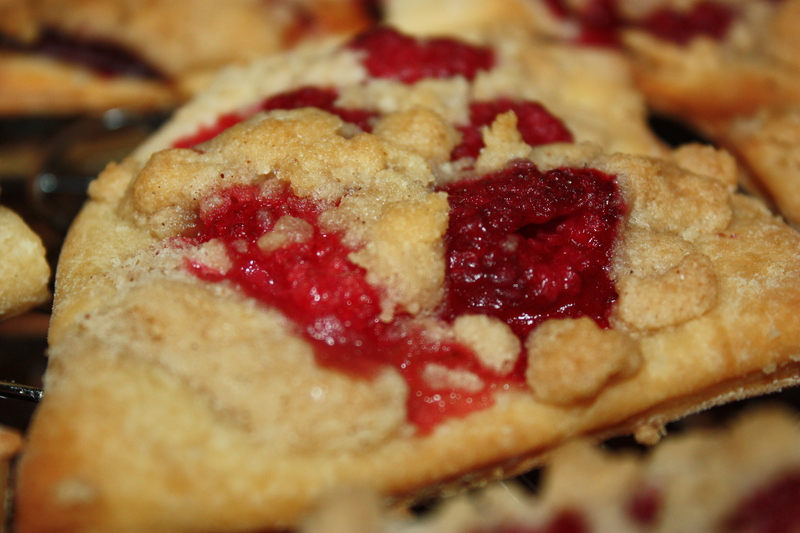 But besides that, the Sweet Berry Fougasse is easy and made fast. I can also imagine other fruits very well, as maybe a strawberry/rhubarb combo, because I know a very similar recipe (sometimes completed with a bit of vanilla pudding between the dough and the fruit), called Datschi. For the recipe, buy Dorie Greenspans book and have a look at p. 194. I like your fruit toppings! And your fougasse looks wonderful. Raspberries and plums sound fabulous as the fruit topping for the Sweet Fougasse - sounds like you also enjoyed this recipe quite a bit! It was indeed delicious and fun to prepare! Lots of lovely sreusel on top as well! i also made fougasse-with tomatoes, they are a berry too! 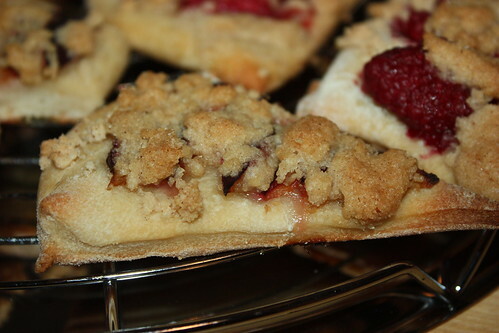 yours looks great, love raspberries and plums-great choice! 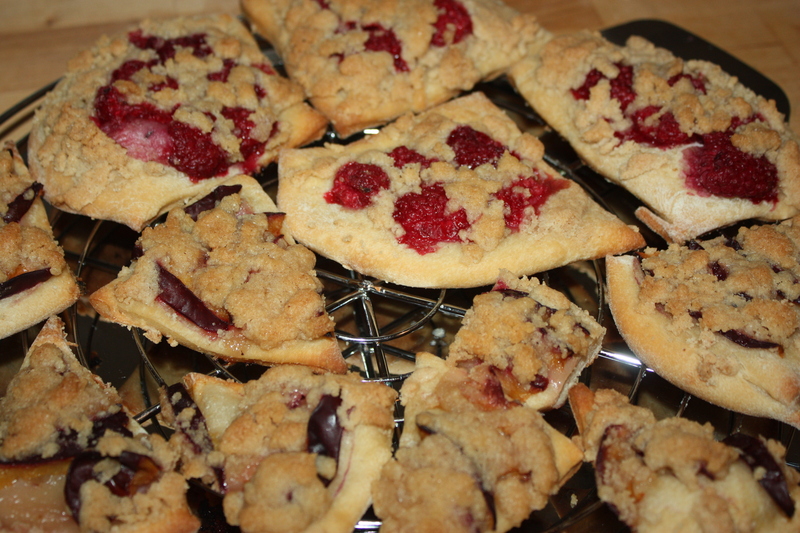 Your fougasse looks great with the streusel topping. I made sweet fougasse too, it was unusual but very tasty! 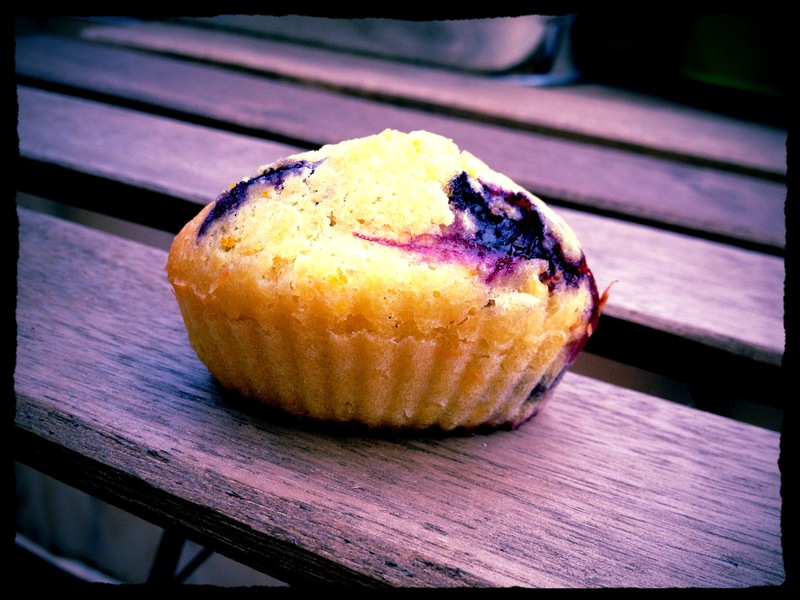 And that muffin looks amazing!! I was tempted to make the fougasse but didn't have the time to make the dough. Will attempt it when I do have some time.